As three studios compete with Netflix with an "if you can't beat them, join them" philosophy, will theaters be left empty-handed? This year, there’s no elephant in the room at CinemaCon; it’s a herd of pachyderms, and they don’t include “Dumbo.” With nearly every major studio investing billions toward building their own streaming businesses, Netflix is no longer the only streamer to threaten the cozy partnership between the studios and the brick-and-mortar theaters that play their movies. That means pressure on the theater owners has never been greater to finally shorten their precious theatrical windows. Disney swallowed Twentieth Century Fox, leaving the studio members of the MPAA at five; Netflix is the sixth, with Amazon expected to follow. Going forward, Fox will feed content to new streamer Disney+ (as some 4,000 redundant Fox employees face layoff notices). 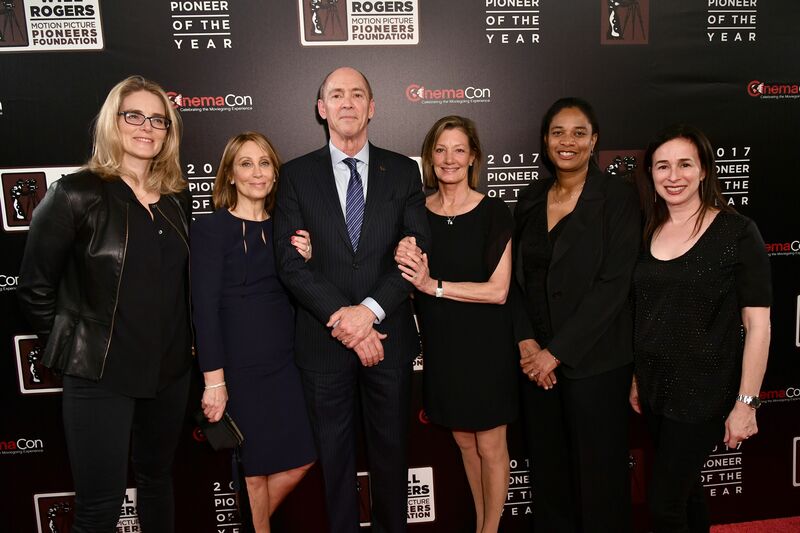 Departing Fox distribution chief Chris Aronson, who enjoyed his role as a song-and-dance showman at past CinemaCon events, has ceded that role to Emma Watts; of the group in the 2018 photo below, only she and Fox Family president Vanessa Morrison are moving to Disney. Cable giant Comcast’s NBCUniversal is also heading into streaming, as is AT&T’s new Warner Media, and all of this is placing massive pressure on theater owners to open those exclusive theatrical windows. (Universal CEO Jeff Shell has taken the lead in pushing back.) In a candid interview on CNBC, IMAX CEO Jeff Gelfond said exhibitors seek a 12-week window. While he respects the theatrical window when dealing with studio blockbusters (he also played “Apollo 11” and “Free Solo”), Gelfond revealed that he’s discussed these issues with Netflix, which suggested the possibility of a four-to-six week exclusive window. Hollywood movies have trended toward year-round tentpoles for some time, with blockbusters taking advantage of ancillary windows to fully exploit their value. That’s one reason why industry-dominant Disney — which could soon command an unhealthy 40 percent or more market share — isn’t in this conversation. Disney has nothing to worry about as they chip away at Netflix’s business. Netflix did the math on what they lost when the major theater chains wouldn’t play “Roma.” (Millions of dollars.) And in order to persuade top filmmakers like Martin Scorsese to keep bringing quality content to Netflix, the streamer is considering upping their theatrical game. They may want to make some of their money back. Netflix could keep four-walling indie theaters, which gets expensive. 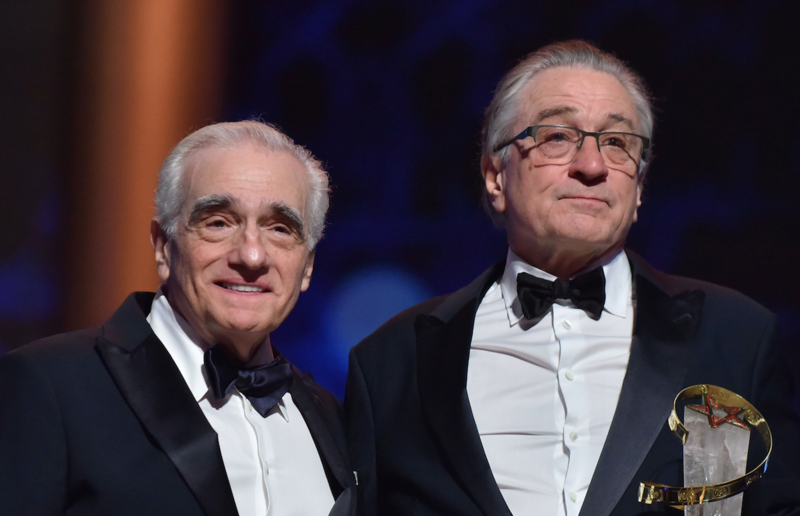 Doesn’t AMC want to play $175-million gangster epic “The Irishman” with its all-star cast of DeNiro, Pacino, Pesci and Keitel? That’s the question that everyone will ask at CinemaCon; the answer will help define the way forward. Antitrust laws mean they can’t talk to theaters as a unit, so last year Fox, Universal, and Warner Bros. each had talks with top chains AMC, Regal, and Cinemark about a shortened exclusive window before Premium Video on Demand. (Netflix, Hulu, and HBO Go are Subscriber Video on Demand.) Some suggested as short as three weeks, with altered deal terms based on projections of what a movie would earn throughout a longer run. “We have been exploring the optimal way of releasing films in the U.S. and around the world,” said one senior studio executive. All the studios have. Meanwhile, the theaters have been fighting tooth and nail to retain their exclusive windows. That’s partly because getting people to show up in theaters and buy concessions (and increasingly, more food and alcohol) has been their sole source of revenue. Over the past four years, Netflix iterated and learned as it spent billions on feature content. Meanwhile, theater owners prevented the analog distributors from testing different ways of releasing films, and measuring the impact on moviegoers. For the past decade, Paramount, Universal and others tried to push some alternate options, but met serious resistance. Now the direct-to-consumer future that many saw coming is here. But because the studios and theaters haven’t tried anything different, they haven’t learned anything. There’s evidence that Academy Award winners already on DVD can still play well in theaters, that “Roma” pulled audiences to theaters while on Netflix (although it certainly would have pulled more if it wasn’t), and that Christopher Nolan “Batman” movies sell out on IMAX long after their supposed expiration date. But if studios take their new films to multiple available platforms, and abandon theaters except for blockbusters, what then? Not only do Disney, WarnerMedia and Universal increasingly have common cause with Netflix, but there’s also a new player in the mix as Apple joins the fray. Original content starts this fall, including some film acquisitions. The company plans global theatrical engagements for documentary “The Elephant Queen,” animated feature “Wolfwalkers,” and teenage Muslim film “Hala,” acquired at Sundance. Overseeing all of this is Apple’s Eddy Cue, senior VP of internet software and services, who reports to CEO Tim Cook. 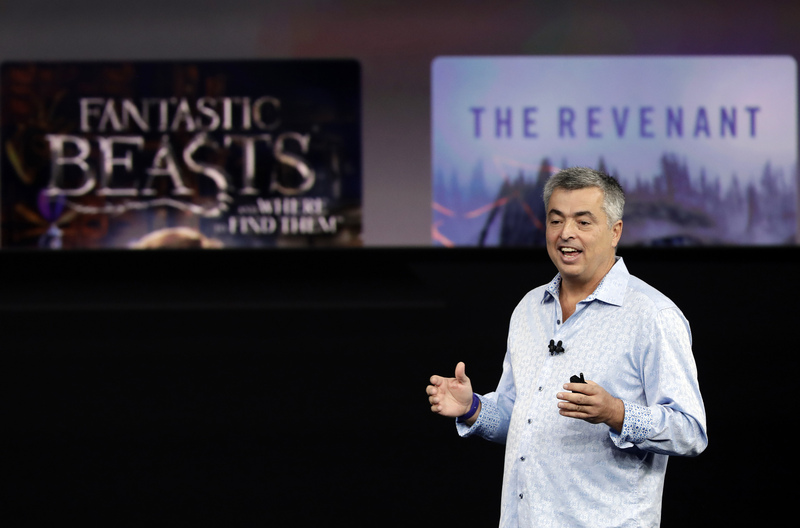 Another frequent question around Hollywood: Does Apple know what it is doing? Amazon Studios, which until now has abided by theatrical windows, is coming to CinemaCon to screen their hot Sundance buy “Late Night” for exhibitors, but with no full-fledged presentation. Amazon’s welcome may be muted this year, as new chief Jennifer Salke’s announced plans to play with more flexible exhibition windows has not gone over well with exhibitors. Surprise. As Apple and other streamers like Amazon innovate with theatrical windows, “they will be met with the same limitations that Netflix has,” said one studio distribution executive. And not all streamers will be able to afford the full-on Netflix four-walls for any extended period of time.